The Handy handcycle has been engineered to provide the ideal cycling experience for athletic advancement of upper body strength and toning for athletic events. Especially valuable to triathletes and challenged athletes, it provides the perfect way to get in shape and stay that way. The hand-cycle achieves the true convenience of transportation while providing easy-to-use pedaling, steering and braking controls. 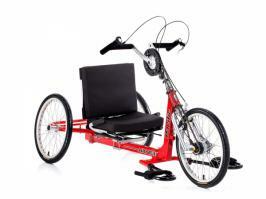 These are amongst the top selling handcycles on the market today. 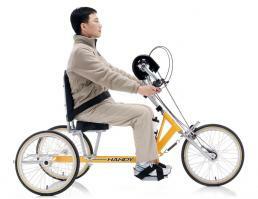 Handy is available in upright and recumbent versions.